Our approach is simple. Through over 15 years of research, we have identified the key areas that define a building’s performance. These areas include utilities, maintenance, janitorial, security, waste management, paving and grounds, and space utilization — the first four of which account for 97 percent of a building’s annual operating costs. 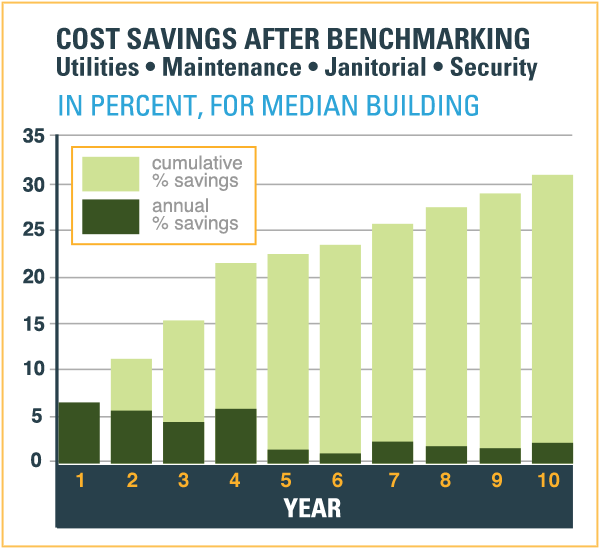 The FM BENCHMARKING database includes key performance data for thousands of buildings — and it’s growing every day. COMPARE: FM BENCHMARKING provides dozens of reports so you can compare performance of your building with similar facilities. We look at costs, consumption, and staffing. ANALYZE: To ensure that you’re comparing apples-to-apples, we provide over 60 filters. Examples include building size and age, industry type, climate, leased or owned, and many more. You simply select the filters you think are most important and run a report. Our tools support multiple currencies and all common units of measurement— feet/meters, therms/Kbtus, etc. IMPROVE: Your benchmarking results will show where there’s room for improvement and allow you to justify implementing best practices. We identify the practices that have been shown to have the most impact for your type of facility. 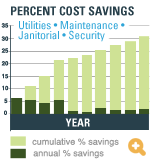 Nearly everyone who uses FM BENCHMARKING saves significant money. 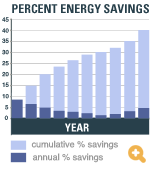 Here’s what we’ve found after tracking savings in energy and operating costs: Over a 10-year period, the typical benchmarking organization reduces its operating expenses by 31% and its energy consumption by over 40% [click here to view charts]. We’re adding new features all the time. 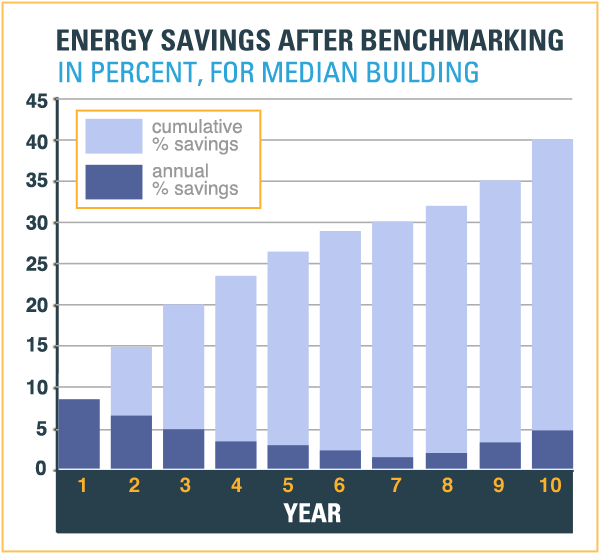 FM BENCHMARKING has recently incorporated specialized metrics for specific building types. For example, now those who manage health care facilities can benefit from unique data fields, filters, and reports. Others will be coming shortly.